Below are a variety of facial toner recipes for every skin type. Whether you have clear or acne prone skin, dry or oily skin, or even aging skin there is a natural toner recipe that will have your skin looking it's best! Always use your toner right after cleansing . Use a cotton ball or cosmetics pad to apply to your face very gently being careful to avoid eyes, nose and mouth. Facial toner can also be used throughout the day as a nice refresher if you need it. Put milk and chamomile flowers in a pot and bring to a boil. Let cool and strain through cheesecloth. Store in fridge. Put all ingredients in sterile glass jar with a good lid so you can shake it to mix it well. Shake well before each use. Put all ingredients in sterile glass jar with a good lid so you can shake it to mix it well. Shake well before each use. This facial toner is also good for aging skin. Put all ingredients into a pot and bring to boil. Cool and strain through cheesecloth. Put in sterile glass jar and store in fridge. These natural toner recipes are super easy to make and you will wish you had tried them sooner. Experiment a little and customize your own recipe! To purchase Facial Toner supplies, below are quick links to the ingredients in the above recipes. Learn how to make beauty products at home for fun and profit! The Handcrafter's Companion Contains More Than 126 Step-By-Step Product Recipes. (Plus Many Other Professional 'Secrets') Click here to learn more! 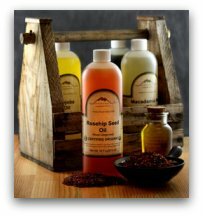 Try one of these essential oil kits from Mountain Rose Herbs. They are an economical way to try a variety of oils and are excellent for anyone new to making your own skin care. 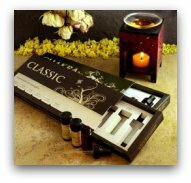 Click here to check out these sample kits.